Halloween 2015. On a Saturday night in Bangkok. Sounds so good it’s scary. 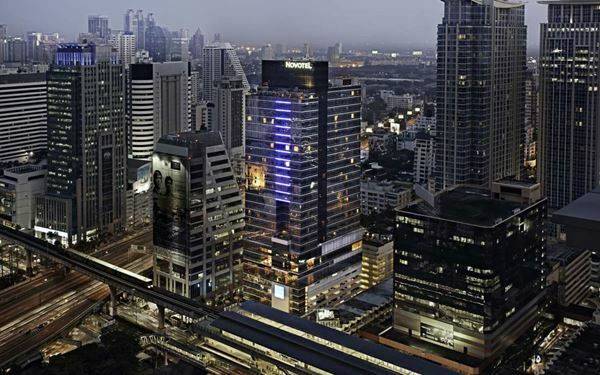 It will be, especially by the time those party professionals at Novotel Bangkok Ploenchit Sukhumvit transform Dee Lounge Beer Garden into a haunted house of fun. Expect Halloween decoration and ghoulishly clad staff. As for guests who make the effort, specifically ladies who turn up in their Halloween-best costume, all will receive one free drink from 6.00 to 8.00 p.m. For the guys or anyone not in costume – fear not. 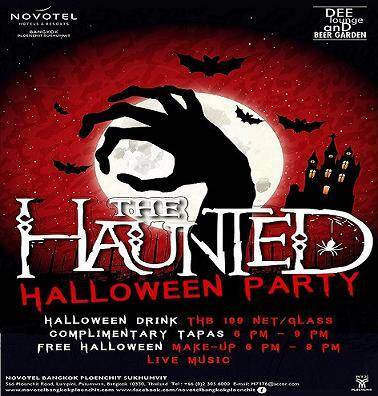 Complimentary Halloween make-up will be available from 6.00 to 9.00 p.m. to help all get in the spirit of the night. Plenty more frighteningly good offers await. Along with complimentary tapas buffet from 6.00 to 9.00 p.m., guests likewise enjoy a special Halloween drink for THB 199 net per glass. Double double toil and trouble, fire burn and cauldron bubble you know it! Accor Plus members with card get one free Halloween drink. - Complimentary Halloween face panting 6.00 – 9.00 p.m.